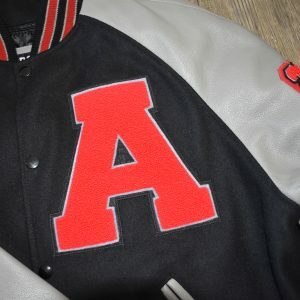 The Letterman Jacket – it’s cool, it’s stylish, and it’s a must have for anyone playing varsity sports in high school. But what exactly is the Letterman Jacket and why should you get one? To put it simply, a Letterman Jacket is a symbol of achievement. They are usually presented to a student by a high school or college to commemorate a significant contribution to a sport or activity. 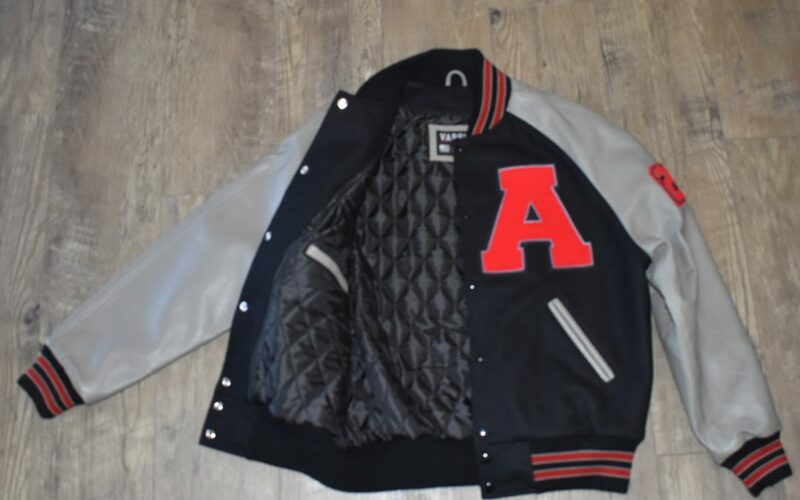 Lettermen jackets typically include a stand-up collar, the name of the student, the name of the sport they contributed to, the initials of the school and the school logo, and a snap front closure. But Letterman Jackets aren’t always given out by schools, and you can opt to purchase one yourself. But why would you do that? First off, if you’ve been on varsity sports teams and are in junior or senior year in high school, you’ve probably started to earn some letters. A letterman jacket gives you a place to put them. Not only that, but it gives you a chance to show them off to the world and wear them with pride! Which brings us to the next point – Letterman jackets are like a trophy that you can wear. When you wear a Letterman jacket, people know that you are a part off something important. And when you are part of something important, people want to get to know you. And when people want to get to know you, well, you suddenly become the most popular kid in town! And let’s fast forward to the future. As a teenager on the varsity sports team in high school, do you ever look back at keepsakes from when you were a child? Well, one day you will also want to look back at the things you accomplished in high school or college. It’s one thing to be able to say that you were on the varsity sports team, and another thing to be able to show it. A Letterman jacket is a keepsake that you can keep forever, and even pass on to your own children one day. And finally, Letterman jackets are stylish! 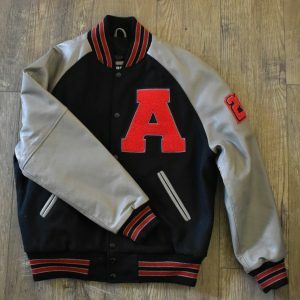 While they might be a little too warm for the hot summer weather, high school varsity Letterman jackets can be worn in almost any season. Fall, spring, or winter – your jacket can keep you warm! Or maybe you can hand it off to your date on a chilly night and it can keep them warm too! Images are provided courtesy of varsitythreads.com. 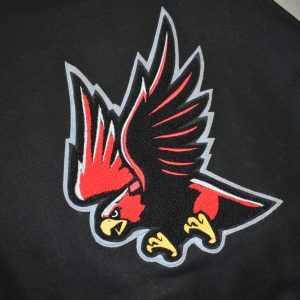 Save $100+ off your new letter jacket by buying direct from varsitythreads.com. 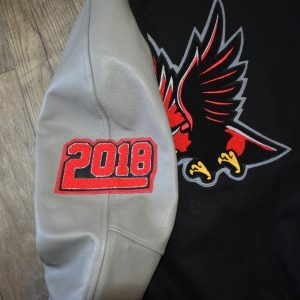 Varsity Threads provides students, teachers, coaches, clubs, groups, and organizations great deals on completely customized varsity apparel. Outfit your team or students with the best in affordable, quality varsity apparel shipped from the USA. 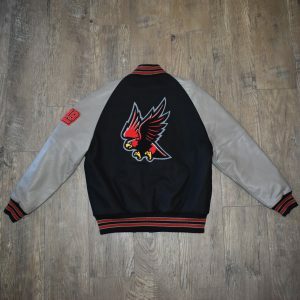 Varsity Threads letter jacket company offers thousands of unique style combinations of premium wool, genuine cowhide leather, and colorfast poly knit trim combinations. At Varsity Threads there are no minimum orders, so you can customize and buy 1-1000 jackets!